Just to say that a team from the A&P District took part in the W&P Guild Inter District 8 Bell Striking Competition held at St Micheals Basingstoke. 4 teams entered and we came a very pleasing 2nd with 84% of clean rows from 224 changes of Plain Bob Triples. Well done to Mike Novell, Hugh Routh, Liz South, Mo Routh, Nick James, Jess Hornsby, Roger Barber and Simon Poyser. The team from Winchester District won with 95% and Basingstoke 3rd followed by The IOW 4th. We intend to enter a team for the Guild inter district 10 bell competition in September to be held at East Meon. St Michaels, Basingstoke are eager and willing to recruit any new ringers. 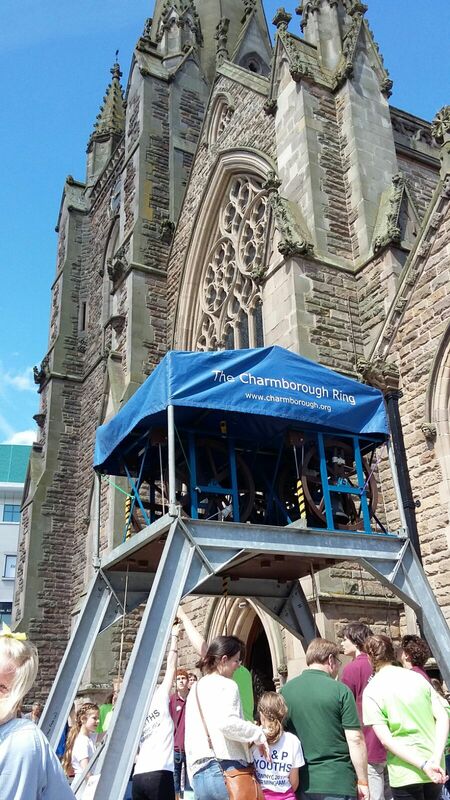 We have a simulator which allows us to train on the bells but without the bells being heard outside and offers opportunities for good ringing practice with feedback via a computer. Training is given by experienced and capable trainers who have trained many other individuals over the years. In the early stages training is one to one and arranged on a day by day basis. Following this, learner specific training sessions are held throughout the year with learners in small groups of 2, 3 or 4 at the most. there will be no practice at St Michael’s Basingstoke on Wednesday 27th December. Sergeant Herbert John Irving, 3375 11th Bn Australian Infantry A.I.F. died 7 May 1917 aged 24. Born at Basingstoke. Gunner George Charles Dimes, 87665, 188th Heavy Bty. Royal Garrison Artillery, died 5 May 1917 aged 26. Ordinary Telegraphist Gordon Thomas Sansom, J/32712 H.M.S. “Derwent”, died 2 May 1917 aged 17. 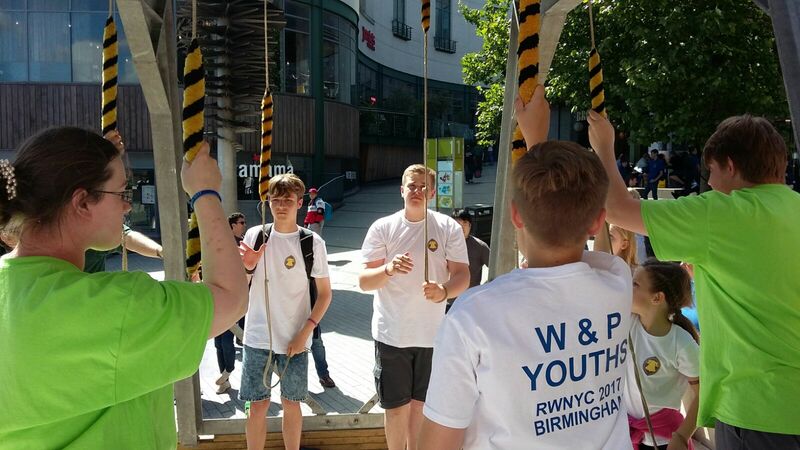 As many of you know, the Ringing World National Youth Contest was at the beginning of July in Birmingham. 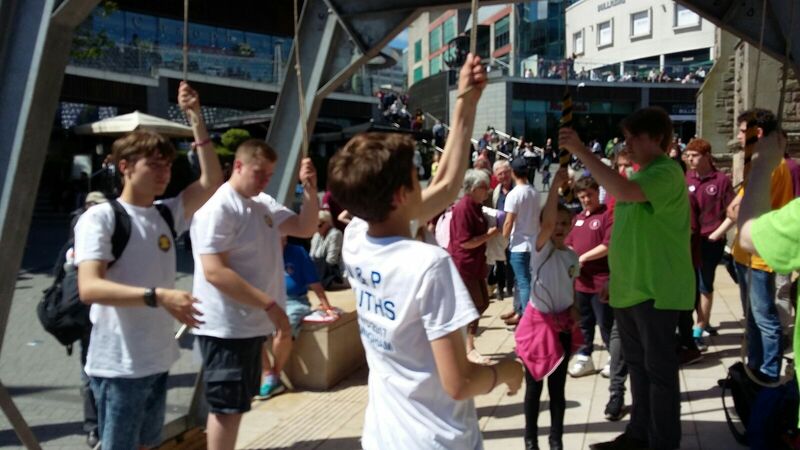 It was wonderful to see so many young ringers from all over the country taking part. There were 1 8 teams of 10. There were 4 of us from the Priory. The others making up the Winchester & Portsmouth Guild team came from as far as Winchester Cathedral, Basingstoke and Milford. 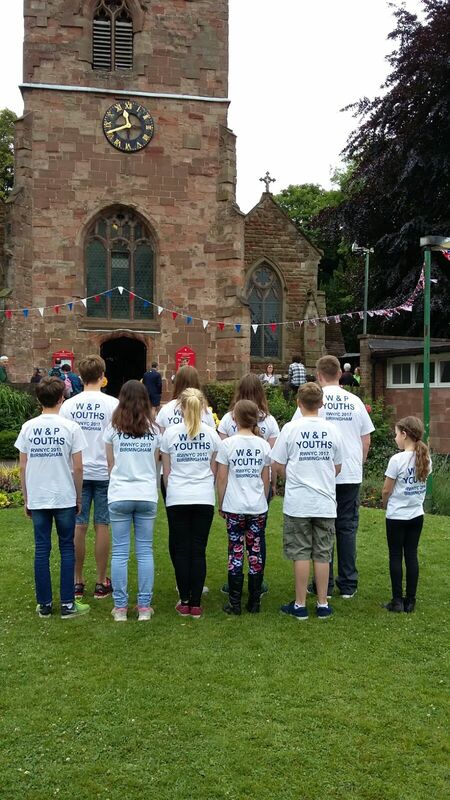 Our qualifier took place at St Peters in Harborne. The piece itself was good but we didn’t get through to the final. 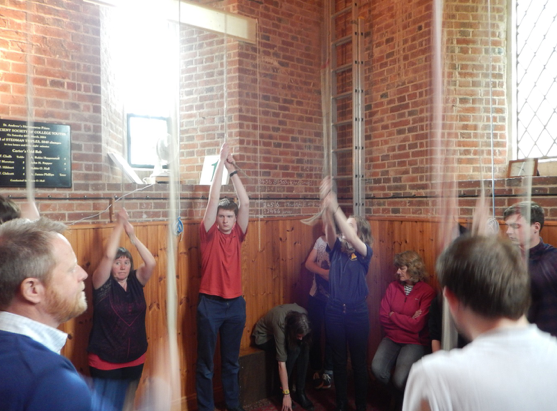 However, this was not necessarily a bad thing as it meant we could ring in more towers! Although navigating round the town to get to them was a challenge for the drivers. There were towers open all over Birmingham including; St Giles (Sheldon), St Alphege (Solihull) and St Nicolas (Kings Norton), Then there was St Martin in the Bullring with a fantastic 16 bell tower. This being the favourite. It was really good to be able to ring in Birmingham, especially as the bells where so nice to ring and the views from the tower windows were impressive as well! In preparation for the Summer Tour, the Lilliputters have, for the last two years, held a day’s outing a couple of months before the Big Event. As well as giving us all a chance to meet and socialise again – some members rarely see each other away from Lilliputters! – it gives prospective new members a chance to join the group, and an opportunity to visit a different area. Last Saturday, 6th May, it was the turn of the Basingstoke District to play host to the Lilliputters. The group continues to expand; as well as Swindon, Brighton, Abingdon, Colchester and Brockenhurst, we also welcomed new members from Bristol, Hertford and Rickmansworth. Come 10 o’clock, we had a turnout of some 15 young and young-at-heart ringers meeting at the fine octave at St Michael, Basingstoke, to start us off with what (for many) proved to be the favourite bells of the day! Striking a balance between our usual array of silliness and maintaining a good standard of ringing, we enjoyed our time here, with call changes, Grandsire Triples and Stedman Triples the staple fare. 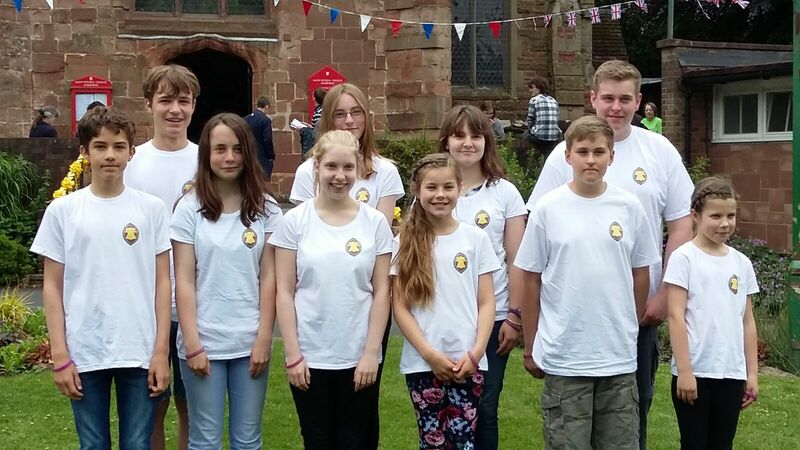 Following our next tower – the interesting six at Wootton St Lawrence – it was time for lunch; the highlight of the day for many, with handbells and maximum daftness a must – the two are sometimes connected! 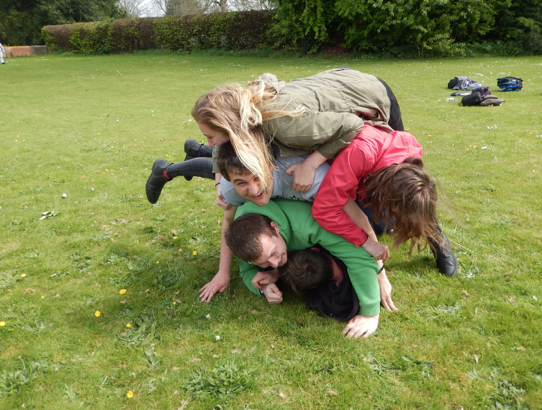 But then, who could forget last years “human bellframe” competition, or playpark antics? Fortuitously, there is a large green area just behind Wootton church, which hosted lunchtime very nicely; while some members lost a handbell quarter peal, others got stuck in the baby swings, or kept The Mighty Kaleeb entertained; no easy task! Lunch complete, we headed onto Overton, where George brushed up on his praying, and we were joined by Tim and Rosalind Martin almost out of the blue (I had only picked up the warning text two minutes before they arrived!). Strong supporters of the tour, it was great to welcome them along and catch up. We also said farewell to Mike Martin, who had joined us for the morning – and wish him every success on his new adventure; who knows, a Lilliput adventure to Ireland may yet be on the cards! Whitchurch proved to be the highlight for many, with an opportunity to ring on a substantial ring of ten; an interesting mix of dates and founders, augmented some twenty years ago with two modern tenors; an unusual arrangement! Here, we had the obligatory group photo – and were joined by two ringers from Battersea, who were walking in the area – but which also made enough for half a course of Cambridge Royal; a very commendable effort! Finally, it was onto the handy eight at Hurstbourne Priors to finish the day. Aside from the field full of cows by the church, we enjoyed a good course of Cambridge, and a spanking touch of Little Bob to finish. And that was it. Friends reacquainted, madness ensued, everything and everyone left in one piece, it was the end of another super day out. The Summer Tour will once again run in the Poole vicinity from Monday 31st July to Friday 4th August, and you are warmly invited to join us, irrespective of age and ability! The four students were at all different levels and by the end of the morning the students were all ringing Stedman Doubles 120 and all ringing together. 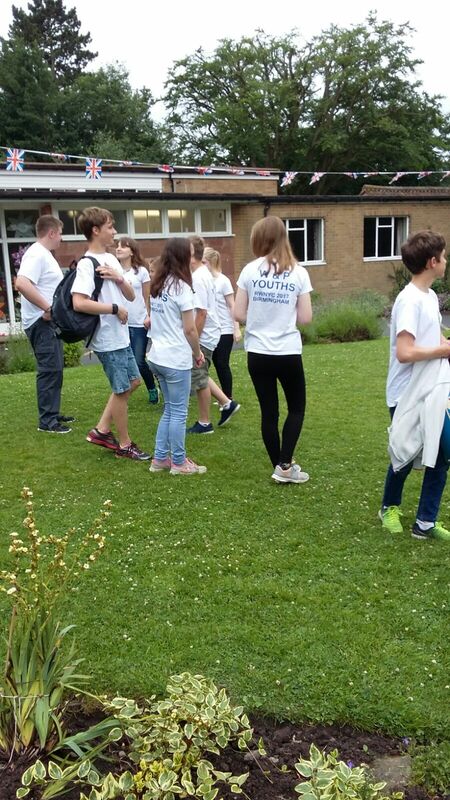 The students came from Alton, Basingstoke and Bishopstoke. This amazing progression was achieved by some fantastic helpers who travelled from Alton, Basingstoke, Overton, Sherfield-on-Loddon and Kingsclere. Thank you to everyone for making today such a success. In November, last year I attended an education training day arranged by the Guild for Double Norwich Court Bob Major (DNCBM). Followup from this day, some of the attendees of the course organised a practice evening at Eling, Southampton and the band at Eling tower kindly gave up their evening practice to support the learners from the Guilds Education Day, and we rang DNCBM all evening. This was a fabulous evening. Lots of support and encouragement. After this practice I was asked to consider organising a practice in my local area, Basingstoke. I found the request daunting but went with it. I approached my home tower St Michael, Basingstoke to see if the tower could be used for such a practice. A simulator practice was offered and a date for 28th February 2017 was confirmed. I posted the date, time, venue and method to be rung on the Guild website with the help and support of the Webmaster. They created me a link so those that were interested could contact me direct. I asked the Tower Secretary at St Michael, and the District Secretary, to publish the event to capture those that may not have access to the Guild website. Two learners took advantage of the opportunity and nine helpers volunteered to assist on the evening. We had fantastic and generous support with people giving up their time and traveling from all over the county to support. The Guild Master and members of the Education Committee have been so supportive in the run up to the practice evening, they gave me plenty of advice and contacts prior to the evening which helped eliminate any concerns or challenges that presented themselves while organising the evening. The Guild Education Days are great and the idea that learners should seek to consolidate and embed their learning from the wider ringing community is proactive and innovative, especially where more complex methods may be harder to practice within home towers. Hello everyone one, at the end of my last article about Double Norwich Court Bob Major, I said watch this space for a Stedman Doubles practice. Well I have to say that the practice is over subscribed, which is amazing. If you are disappointed that you have not been able to get on to the practice this time around I can organise another. For those learners who would like to attend please confirm back to me asap. I’m also looking for helpers and someone to tower captain the evening. If you can commit to this date please let me know. On Saturday 10th of September, in support of the Heritage Open ‘weekend’, we opened Basingstoke St Michael’s tower to a very interested party of visitors, keen to understand a little more about ringing and to learn about the history of the bells and tower. At St Michaels we are fortunate to have some interesting historical points to keep visitors interested. The oldest bell dates from 1558, believed to have been cast by an itinerant bell founder locally to the church, with two other bells cast in 1602 and 1670. The remainder of the bells were recast in 1938 when the ring was rehung in a steel frame by Taylors. The Floor that was mysteriously lowered in 1879, (believed to be to improve the draft of the ropes) and leaves our staircases finishing about 1 metre above the floor and various old peal boards including the first peal of Holts Original in Hampshire by the Cumberlands and the first peal on the bells in 1754 by the Reading youths, who were reputed to have walked to Basingstoke, and presumably had to walk back again afterwards! And of course not forgetting the first peal rung by a lady, Alice White, the 15 year old daughter of the tower captain Henry White, which was rung on the 12th February 1896 at St Michaels. The visitors listened to a short talk on the history of the tower and the development of bell ringing from Pete Jordan and then treated to a well struck course of Plain Bob Doubles by the local band who were acting as tower stewards. They then had the opportunity to visit the belfry, view the 1843 Vullimay clock and try their hand ringing rounds and lapping plain hunt minor on handbells. Rung on the back 6 to celebrate the Official 90th Birthday of HM Queen Elizabeth II. Rung to celebrate the Official 90th Birthday of HM Queen Elizabeth II. Greg Jordan was recently appointed to the Guild Striking Committee… a brief interview on Facebook followed…. R: Welcome to the guild striking committee experience! R: When did you take up ringing? R: That’s very exact! Where did you learn? R: What made you want to learn? R: Hahaha! What is your vision for the striking competitions? What do you think they contribute to a band? they should end up making everyone in the guild feel welcome to join in with, no matter what their standard is. 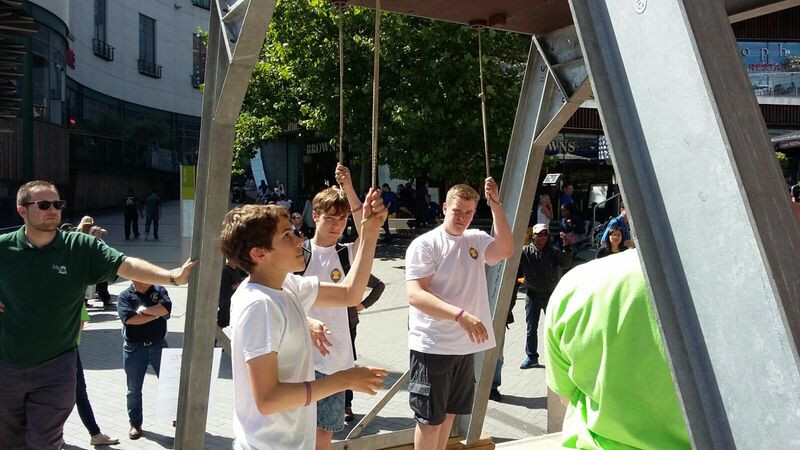 A striking competition is a chance to not only better your striking, which after all is the aim of ringing, but also to go out to other towers and experience different bells. For a band that doesn’t necessarily go to many other towers, it’s a chance to meet new people and ask their advice on a particular problem, whether it is part of a method or listening skills. A striking competition should not Single out a select few, but be inclusive to all. The first quarter peal at Sherfield-on-Loddon by a predominantly local band for more than 30 years was rung on 31 August 2015 and included three first quarter pealers. The quarter was rung to mark the centenary of the death of local war hero Captain John Liddell VC MC and comprised 1260 of Plain Bob Doubles. The ringers were (from left to right above) Sue Hobbs (1st quarter), Elizabeth Ford (1st quarter), Chris Ford (first as conductor for more than 30 years), Alison Ford (1st quarter), Betty & Mike Rice (both St Michael’s Basingstoke ringers). Sue, Elizabeth and Alison have been ringing for more than ten years and the opportunity to mark an important local event encouraged them to try for a quarter peal. Captain Liddell was brought up in Sherfield Manor (now Sherfield School), volunteered for the army and was serving with the Argyll and Sutherland Highlanders in the the early part of the first World War when he was awarded the Military Cross for saving another soldier’s life. After a transfer to the Royal Flying Corp, a forerunner of the RAF, and pilot training at Brooklands, he and an observer were flying a reconnaissance mission over German lines in Belgium on 31 July 1915 when his plane was hit by enemy fire. Despite being severely wounded, he saved his observer’s life by piloting his badly damaged aircraft to a landing behind British lines and was awarded the Victoria Cross for his heroism. Regrettably, his injuries led to septic poisoning and he died in Belgium on 31 August 1915, at the age of 27. His funeral in London was followed by a procession through Basingstoke to his burial plot at Holy Ghost Cemetery. First quarter – 1,2 & 4. Sundays: Sundays 9.15-10.00am and some evening QPs please contact sec.